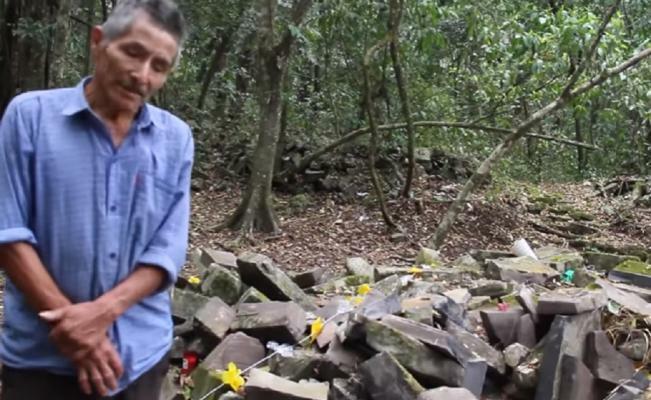 Assailants who allegedly said they were Jehovah’s Witnesses have toppled stone structures used as altars at an ancient Otomi Indian religious site in Hidalgo. The spokesman for the Jehovah’s Witnesses in Mexico did not immediately respond to requests for comment on the incident, which occurred at least a month ago. A local official said on Monday June 27 that some local residents were angered by what believed to be idolatry and had damaged the remote site. A researcher who interviewed some of the attackers said they identified themselves as Jehovah’s Witnesses and viewed the altars as blasphemy. The Mayonihka site in Hidalgo state also is known as Mexico Chiquito. It is one of the few ancient ruin sites still used for religious rites by the local Indian population.